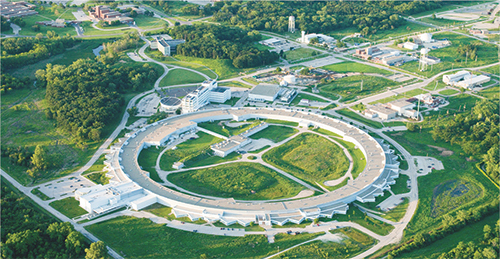 The Advanced Photon Source, a U.S. Department of Energy Office of Science National User facility at Argonne National Laboratory, provides ultra-bright, high-energy storage-ring-generated X-ray beams for research in almost all scientific disciplines, including efforts to observe the 3D-printing process in real-time. Peer Argonne Lab Several challenges exist in moving additive manufacturing (AM) to the manufacturing mainstream. To address those challenges, scientists from the U.S. Department of Energy’s (DOE’s) Argonne National Laboratory, Carnegie Mellon University and Missouri University of Science and Technology are investigating the entire 3D-printing process, including the material properties of the metal powders and how the laser shapes those powders into the desired components, to discover both how defects form and methods to avoid them. For the first time, scientists recently peered inside materials in real-time during the 3D-printing process. As the laser prints metal components, researchers have a front-row seat to its inner workings via the intense synchrotron X-rays at the Advanced Photon Source, a DOE Office of Science User Facility located at Argonne. Argonne researchers have provided a first-of-its-kind in-situ observation and measurement of the metal AM process. Shown here are dynamic X-ray images of the laser-powder-bed-fusion process with a titanium-alloy powder as the test material. The team showed that it can observe and quantify many metal 3D-printing characteristics, including melt-pool size/shape, powder ejection, solidification, porosity formation and phase transformations. Sun will share his conclusions with partners in academia and other national laboratories who are building models to reliably predict the characteristics of the printed materials. These models also predict the dynamics of the process, such as how the laser melts the powder, when the powder changes into gases and liquids, and so on. Meanwhile, Aaron Greco, a principal materials scientist at Argonne and project co-leader for Argonne’s AM effort, enhances the models from a different angle. The result is a virtuous loop in which the experimental data feed into AM models. Then the improved models are tested by more elaborate and insightful experiments. This interplay between modelers and experimentalists is essential to clearly and accurately understanding the underlying materials physics required to make 3D printing truly reliable, according to the Argonne Lab researchers. Industries also are limited by the extremely detailed models currently required to define the printing process for complex parts. By reducing these models to just the handful of elements that affect quality and reliability, the team hopes to make the models faster and more suitable for industry. To learn about tapping into Argonne’s facilities and expertise in this area, e-mail partners@anl.gov.